Alyssa Borth submitted this photo and caption. This past summer I marched in the Open Class as a member of Dutch Boy. 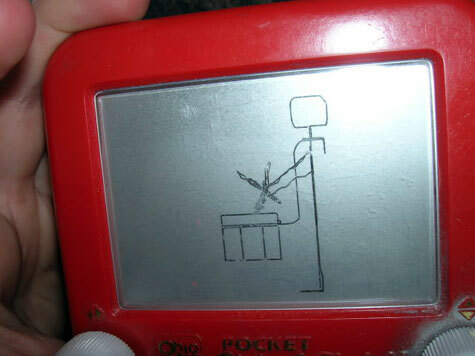 It was my first summer marching in a drum corps, and to keep myself entertained on the bus I brought my handy-dandy Etch-a-Sketch. On the way to one of our many shows I drew a snare drummer. I thought it was pretty sweet even though I play trumpet!